Best Recipes: BREAKFAST. 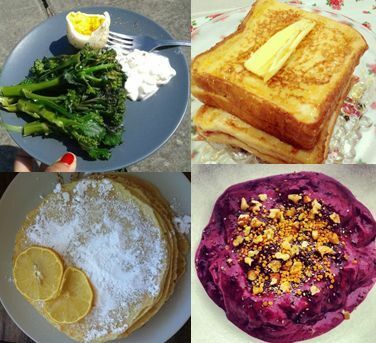 Peanut Butter and Jelly French Toast, Purple Banana Breakfast Bowl, Easy Eggs with Magic Broccoli, Lemon and Sugar Crepes. Breakfast is the most important meal of the day! Here are some of our favourite recipe ideas from our first 3 months to fuel the little ones up for their busy days ahead. 1. Peanut Butter and Jelly French Toast. 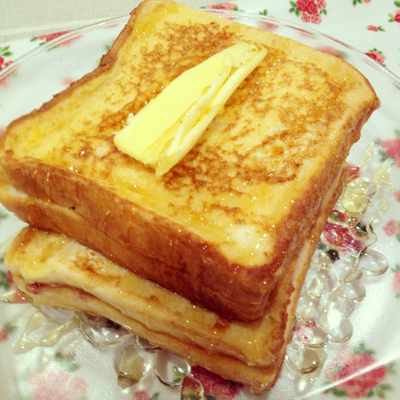 Posted by Yvonne, this scrumptious French toast has become a breakfast favourite! Wondering what to have for breakfast? This Peanut Butter & Jelly French Toast might just be the solution for you. More than a PB&J sandwich and not just your usual french toast, this recipe will definitely brighten your day starting from breakfast. 2. 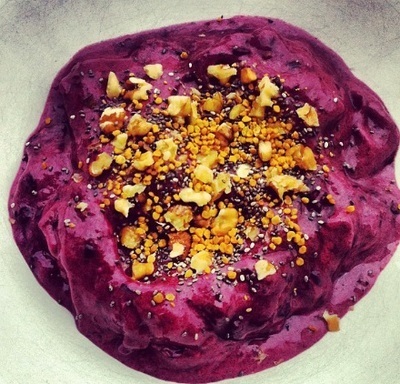 Purple Banana Breakfast Bowl. Jamie0liversgirl brought a sun, colourful and healthy breakfast our way with this incredible breakfast. Here's a great way to make morning breakfast more fun. A bowl of this nourishing mix is sure to put smiles on your kids faces. 3. 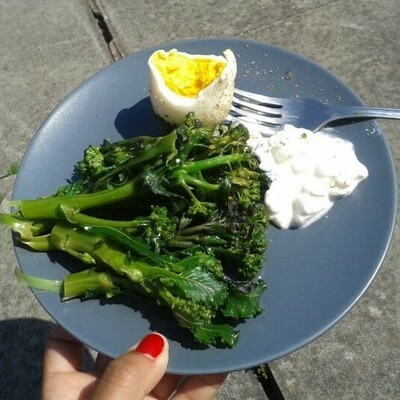 Easy Eggs with Magic Broccoli. Another Jamie0liversgirl creation, and another favourite breakfast idea! Simple, and quick, eggs are a great lunch for little ones. They're full of protein, and this dish employs just enough green to make it a healthy and fibrous. Purple sprouting broccoli changes colour when boiled, which is a fascinating and fun feature of the vegetable. When kids are interested in their food it makes meal times more enjoyable, and turning vegetables into a 'fun' part of the meal, makes 'eating up' a lot easier. 4. Lemon and Sugar Crepes. Crepes, glorious crepes! 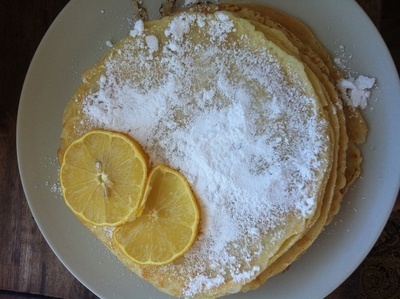 Barbara posted these delicious lemon and sugar crepes. A sweet and tangy breakfast that will delight and entice the whole family. These are just a handful of healthy and scrumptious breakfast recipes posted on kidrecipes. I hope you enjoy them!